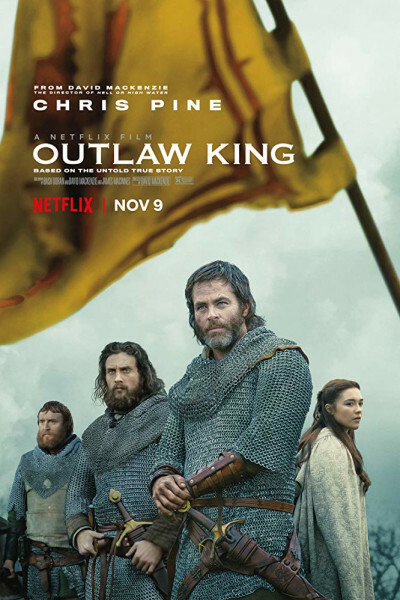 Outlaw King picks up where Braveheart's William Wallace left off, his head piked on London Bridge and his quartered limbs sent to four corners of the realm (Newcastle, Berwick, Stirling, and Perth). And it's uphill sledding from there. BUT, fast-forward 300 years later to March 24, 1603, and we'll see that James VI of Scotland (descendent of Robert the Bruce and Elizabeth de Burgh), becomes the monarch to unite all three realms (England, Scotland, and Ireland) in what is revered as The Union of the Crowns.